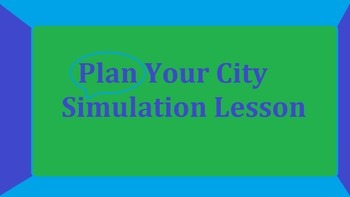 This simulation is aimed at helping students understand why cities and civilizations arose where they did. Students will work in groups to plan a city based on a provided map and budget packet. Students will also have the opportunity to "go to war" with other groups. A very fun way for students to understand the basics of developing a city.